Brian Jackson/Sun-Times Media Nicholas Sposato, alderman of the 36th Ward, says of UNO: "I just want to make sure they're living up to their deal." It's been almost two years since UNO, using its clout as one of the most powerful charter school operations in the state, forced rookie alderman Nicholas Sposato to accept one of its schools in his ward. 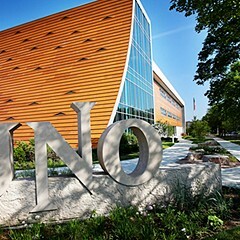 But UNO's not pushing anyone around these days—it's struggling to regain its credibility in the wake of an embarrassing contracting scandal. And Sposato, two years wiser, is clamoring for what amounts to an investigation into UNO's admissions policies. Trust me—that's an investigation that no one in the charter school community wants to see happen. What happens next will tell us a lot about how much has really changed. In the fall of 2011, UNO was sitting on top of the local political world, thanks to its ties to Governor Pat Quinn and Mayor Rahm Emanuel, who openly enlisted its officials as foot soldiers in his larger fight with the Chicago Teachers Union. Because, like most charters, UNO is nonunion. 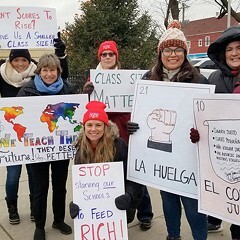 Every new UNO school means relatively fewer unionized teachers in the workforce of the Chicago Public Schools and, therefore, less power for CTU. And you thought Emanuel was just really excited about their pedagogical ideas. That fall UNO's executive director, Juan Rangel, announced that the organization intended to open a new grammar school at 2050 N. Natchez, in the 36th Ward on the northwest side. There was just one little annoyance to deal with: to build the school, UNO needed a zoning change, which required the backing of the local alderman—in this case, Sposato. 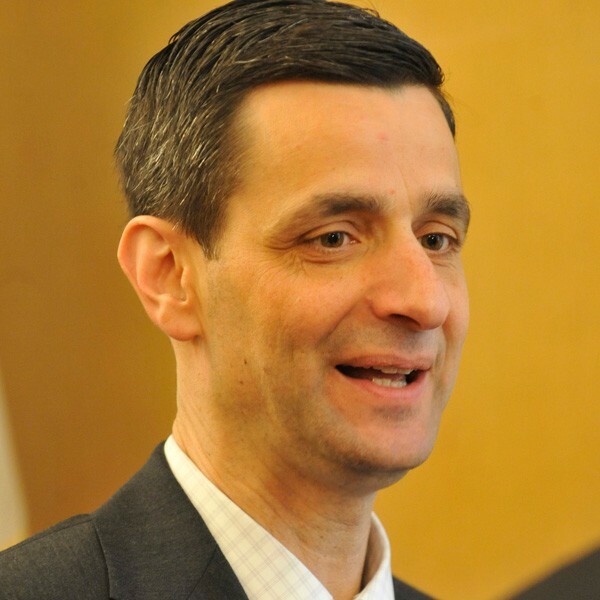 He'd just taken office after defeating the incumbent, John Rice, who had close ties to Emanuel and never gave anybody at City Hall any trouble. In other words, he almost certainly could have been counted on to OK UNO's zoning request without dissent. 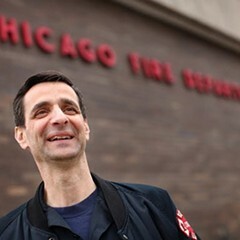 Sposato, a former firefighter, was a different story. "I got other schools in my community that need assistance," he says. "Why give money to a new school when our own schools need help?" Plus, he's a union man, and proud of it. "I asked Rangel if he'd let their teachers organize," says Sposato. "He said absolutely not. So we didn't get off to a great start." But Rangel says—well, I can't tell you what Rangel says, because he didn't return calls for comment. On November 3, 2011, Sposato held a public meeting on the new school. Several hundred people showed up, many of them union activists. They blasted the UNO plan. "I do what my constituents want," says Sposato. "If I had to go by that meeting, I'd be against it." Rangel counterattacked. He took his story to the charter-school-loving editorial board of the Chicago Tribune. And on December 10 the Trib weighed in with an editorial ripping Sposato and praising UNO as, among other things, "one of the best charter operators in the city." Words I'm sure they'd like to take back. In addition, mayoral aides were letting Sposato know the mayor very much wanted the zoning change. On December 13, the matter came before the council's zoning committee, whose chairman, Alderman Danny Solis, helped organize UNO back in the 1980s. You might say the cards were stacked against Sposato. "It's stall, stall, stall, stall," Alderman Nick Sposato says of UNO fulfilling its promise to serve children in his ward. He asked that the committee defer the matter, giving him time to hold another community meeting. "I know CTU loaded that first meeting—that's what good organizers do," he says. "I wanted another meeting to see if there was strong support from people outside the union." Solis ripped into Sposato, saying, "It's almost an embarrassment that an alderman would say no to children and to good education in this city." The Tribune followed up with another editorial, headlined, "Build this charter school: Ald. Sposato, give kids an opportunity." Somehow being for UNO had turned into being for kids. "I knew I'd lost," Sposato says. "Danny [Solis] gave me the deferral, but I'd surveyed the other members of the zoning committee. UNO had the votes. So much for aldermanic privilege"—that is, the long tradition of giving the local alderman the power to make zoning decisions in his own ward. Up against the wall, Sposato decided to make a compromise to try to ensure the school was at least helping kids in his ward. "I told UNO I'd sign on to the zoning if they created an attendance boundary." UNO agreed—they really had nothing to lose. UNO officials brag that they take students from the mostly Hispanic communities where they open their schools—often by sending organizers door-to-door to ask parents to apply. But even though they're publicly funded, charters don't have to follow many of the regulations governing traditional public schools. For example, they can limit enrollment to students who apply, as opposed to opening their doors to everyone in the attendance boundary, as regular neighborhood schools must do. 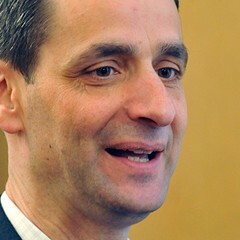 But in this case, Sposato says, UNO agreed to establish local boundaries: North Avenue on the south, Belmont on the north, Rutherford on the west, and Central on the east. The deal was that applicants from within those boundaries would get first dibs at the new school. And so UNO got its zoning change. 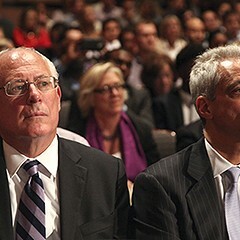 Governor Quinn found state money to help cover construction. And in September 2012 the school opened with a dazzling laser show for a crowd that included Quinn, Emanuel, and, yes, Sposato. "Why not?" he says. "They're here." Well, the last year hasn't been so glorious for UNO. In February, Sun-Times reporter Dan Mihalopoulos began breaking stories showing that companies owned by the brothers of UNO's former chief financial officer had received no-bid contracts for school construction. With each new Mihalopoulos exposé, UNO became an embarrassment to the charter school community. Quinn temporarily suspended state funding for their projects. The Tribune wrote a critical editorial. Emanuel backed away a bit. And, ironically, Rangel agreed to let his teachers organize. Moreover, Sposato was still on the case. Based on calls from constituents, he started to doubt that UNO was living up to its agreement to give local applicants the first stab at seats in the school. "Constituents told me they never got in even though they lived very close." So over the spring and summer he began asking UNO officials to meet with him. Specifically, he asked that they bring the addresses of applicants for this year's kindergarten class so he could compare them to the addresses of the kids who got in. "They said no problem," says Sposato. "But it took forever for them to meet." And when they finally did show up to his office on August 16, they didn't have the information he'd requested. "They gave me a piece of paper that said something like 45 kids out of 160 who applied came from the neighborhood," Sposato says. "This wasn't what I asked for or what they said they'd bring. It's just numbers on a piece of paper. Bring me the proof. They said they'd come back for another meeting with what I wanted." Sposato suspects that UNO has gone back on its promise. He suspects it gerrymandered its admissions lottery to make sure that a favorite few got in. At the very least, he vows to press on until UNO opens its books. "It's stall, stall, stall, stall," he says. "First they stalled before we met. Then they didn't bring what they said they were going to bring. And now they're stalling on another meeting. I just want to make sure they're living up to their deal. What's wrong with that?" As his reelection bid looms, the mayor drops his tough talk.